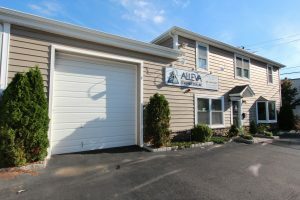 Alleva Construction specializes in residential and commercial remodeling, renovations, restorations, additions and extensions, home improvements, and handyman repairs for homeowners throughout northern New Jersey. Alleva Construction, Inc., takes pride in being the general contractor of choice for residents in Hackensack, New Jersey, and nearby areas. Our company story started in 1987 when Michael Alleva began doing odd jobs out of the back of his truck for homeowners throughout northern New Jersey. As our company grew, our positive reputation spread quickly through word of mouth, helping us become the business we are today: a family-owned and -operated design-build company that can flawlessly complete home remodeling projects no matter the size or scope. Michael Alleva, no longer working out of the back of a truck, serves as our president and is a “Certified Graduate Remodeler” who has served on the NNJBA Board of Directors and is an active member of the National and New Jersey Builders/Remodelers Associations. Alleva Construction is a “Certified Green Company,” has been a member of the Better Business Bureau for more than 15 years, and has been honored with a “Best of Houzz” award. As reflected in our accolades, customer service has always been one of our foremost priorities. We believe in treating our customers fairly, delivering on their expectations, and helping them find the most cost-effective solutions possible. We also ensure that our full-time office staff is available to field questions and address any concerns before, during, and after any project – be it a minor repair or adding a second story to a home. That commitment to our customers is at the core of our company, and it’s the reason why people throughout our area of New Jersey know that they can trust the Alleva name. Learn more about why Alleva Construction is the go-to general contractor in the area and call us today to schedule an in-home consultation. When you do, be sure to ask about the flexible financing options we offer to homeowners in Hackensack, NJ, and neighboring communities.